David Tait, former global head of fixed-income products at Credit Suisse, will take over as CEO of the World Gold Council (WGC) in 2019. A new leader will take the helm of the World Gold Council (WGC) beginning in 2019. David Tait, a veteran of the financial services industry, has been named incoming CEO, succeeding the 10-year run of Aram Shishmanian. An independent member of the Bank of England’s Fixed Income, Currencies, and Commodities (FICC) Market Standards Board, Tait joins WGC from a position as global head of fixed-income products at Credit Suisse. His career has also included senior trading and asset management roles at UBS Investment Bank, Bluecrest Capital Management, Peloton Partners, and Citadel Europe. 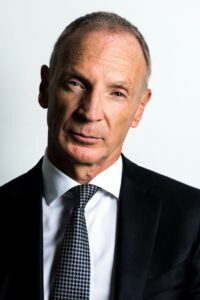 Tait’s experience further includes philanthropic work, as he has supported the National Society for the Prevention of Cruelty to Children (NSPCC) by climbing Mount Everest on five occasions. This work has earned him recognition from the Queen of England. A transitionary period will commence on January 7 with Tait serving as CEO designate. He will step into the full role on February 25.